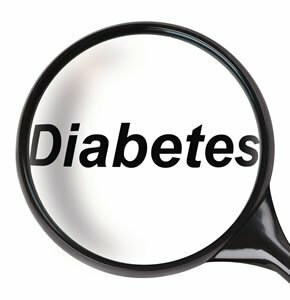 But this one was personal: my daughter has Type 1 Diabetes. This is a big deal, requires constant vigilance, and is a huge part of our family’s life. I don’t have diabetes myself, but because of my daughter our family has become experts in the management and lifestyle that is diabetes. So speaking to a bunch of diabetics was very cool — and very personal. I spend some time researching every audience. But when it is as part of my life as diabetes, it’s easy to share my passion. in spite of the disease. Or, more accurately, all of the wisdom I do have comes from my 12 year old diabetic. I’m fabulously proud of her and her ability to adapt to this disease. She is a rock star. Sure, she is well aware that she has a health issue that makes her unique from her friends. But here ability to shrug it off and just deal with it — without complaining….. much — is astounding to her mom and I. When I asked her what I should tell this group of people dealing with diabetes, and what she would recommend they do to stay upbeat in spite of it all she blew me away. She said, “Tell them that you pretty much have diabetes whether or not you like it. And the only thing you CAN do about it is to take care of yourself.” Such simplicity. Such wisdom. It ticked me off that she could be so articulate at 1/4 my age. I was to speak to a bunch of folks are facing major life style changes. They are going to have to give up (or severely limit) some of their favorite foods and find a way to like foods they’ve never met. They are going to have to change the way they live — and I was tasked with helping them to make this transition with humor and grace. 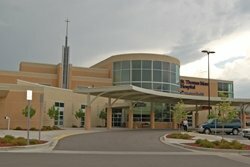 So I took my daughter’s message… along with my own funny stories and humor … to this forum sponsored by St.
Thomas Moore Hospital. And it went well. The message was right on. I only wish I could take credit for it. Thanks Canon City! And thanks Claire. It was a blast. Are you looking for a health care speaker for your organization? Whether or not you need a diabetes speaker, I’d love to be your guy. Go to the Contact Page now. https://www.bradmontgomery.com/wp-content/uploads/2018/11/logo-1-495x198-1-300x120.png 0 0 admin https://www.bradmontgomery.com/wp-content/uploads/2018/11/logo-1-495x198-1-300x120.png admin2009-11-30 09:36:162016-09-16 07:15:48I'm Supposed to Eat *%$^@!! What? Check out the second video in this series where I talk about choosing the right topic for your motivational speech. Mobile Post: Posted on-the-go by Brad Montgomery from my phone. For those of you who prefer to read, or cannot see the video….here ya go! John Sileo: Hello, my name is John Sileo. What else do you want me to say? 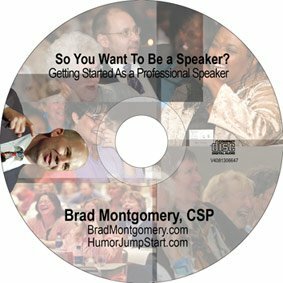 Brad Montgomery: How do you get to be a motivational speaker? John Sileo: You get to know Brad Montgomery. That’s the honest truth. If I had one thing to give to people it would be its all about the people you learn from. It is not necessarily the people you network with it’s not that they’re getting you jobs. It’s that they’re the ones that let you know you are doing a good job when you are doing a bad job. Brad for me was the person who finally said, “You know what? This part of how you’re speaking is crap. And you need to be more yourself.” Very honest feedback. And that one on one coaching that you get, not that you pay for that you get from another speaker, from a close friend, a mentor. That to me has made all the difference in the world and that is what has made my speaking career so much fun and decent. Brad Montgomery: Rock on. You want to learn how to be a motivational speaker? We’ll see you at BradMontgomery.com. I just got back form Richmond, Indiana (near Indianapolis, Indiana) where I spoke to the entire staff of First Bank Richmond. They have been going through some tough times lately— and not just the general strife all of the banking industry is enduring. They just updated some huge systems, and the process has been good but painful. This group needed to come together as a team, celebrate their successes, and celebrate their conversion to this new complex software system. Here’s my bribe: Hey First Bank Richmond folks!!! What are you going to DO differently at work (and/or at home) based on our time together on Veterans Day? I’d love to hear how you plan to “create stories” for your customers. Sure, you probably can’t create an awesome customer service story for EVERY person who walks into your bank, but certainly you could create one awesome experience per day? Personally, I think creating one story per day is a bit lame. Can you do two? Three? Five? And most importantly, how are you going to make the creation of these customer service stories fun for YOU? (Remember, if it’s fun you’ll do it. If it isn’t, you probably won’t.) What systems or processes or rewards can you put in place so that these stories become part of your First Bank Richmond culture? Use the comment form below to share your ideas and I’ll send you a gift. No, not a pony, but still fun. Do you need an outside speaker to help get your bank — or other organization — to where it needs to be? Go to the contact page now. Now we can blog on-the-go from our phones. Look for more speaking tips and tricks. In the meantime you can check out the awesome speaking skills of my son presenting his science fair project. https://www.bradmontgomery.com/wp-content/uploads/2018/11/logo-1-495x198-1-300x120.png 0 0 admin https://www.bradmontgomery.com/wp-content/uploads/2018/11/logo-1-495x198-1-300x120.png admin2009-11-15 16:09:072009-11-15 16:09:07Blogging on the go? I use magic and comedy to demonstrate the cool things you can learn through reading. I did at least 800 shows, and over 200 schools — nearly all of them in my home state of Colorado. Recently, I donated the program to my kid’s school. It was a hoot to have 2 of my kids in the audience, one of whom got up and did a magic trick on her own. (My other kid was a “star” in a trick I did.) To be honest, I thought this was the end of the story. But then in a fluke, a school from a nearby district called and asked me to do it. “Yes!” I said before thinking. (The assemblies are fun, but to be brutally honest, my corporate groups pay better. Hey! Kids need new shoes!) Then I noticed that I had a spring in my step the whole day; I was THRILLED to have booked the show because I love doing it. Love it. Guess what? I’m back! No, I’m not a school assembly guy. But I am a motivational speaker who occationally likes doing school assemblies. Because I love them. I guess I could do it as an add-on to one of my corporate road trips. But I’m assuming I’ll mostly do them here in Colorado in between speaking jobs. Ok clients…don’t sweat it. I’m not a kids performer. But yeah, I love doing it and I’m gonna do maybe one school assembly per month. Hey Colorado Schools? Are you looking for a fun school assembly? Offered by a guy who does it because of his passion? Contact me here. See the School Assembly program on Youtube. There is a guy named Chuck Mettler who knows how to follow his passion. He’s one of those fascinating guys who is always into something new. If you say, “What have you been doing lately?” to most people, they’ll come up with something lame. Chuck doesn’t know. He is ALWAYS doing something new. Something cool. Because this guy follows his passion. And his passion is art. Check out the latest pieces from chuck. 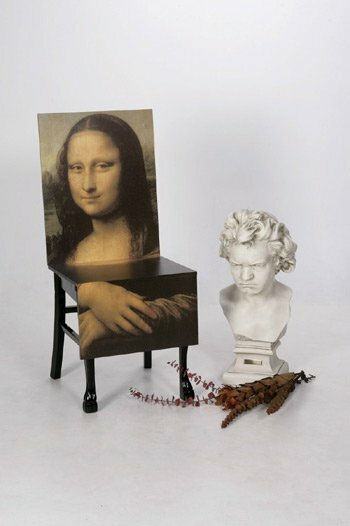 He makes these super cool art chairs and sells them to fans across the country. They are sturdy, functional, and creative. But most of all, they look awesome. What’s my point? I don’t care what you do, but find something — anything! — that helps you have and express your passion. Bowling? Great. Keeping a fish tank? Wonderful. Music? You bet. Remote control cars? Why not? I’m just saying that you should do something. It’ll make you better. Learn more about Chuck’s furniture art. https://www.bradmontgomery.com/wp-content/uploads/2018/11/logo-1-495x198-1-300x120.png 0 0 admin https://www.bradmontgomery.com/wp-content/uploads/2018/11/logo-1-495x198-1-300x120.png admin2009-11-06 11:26:382009-11-06 11:26:38Passion. Have it. Get it. Nourish it. I dare you. Turn each guest’s visit to your hotel into a story. Ok, for the rest of you, allow me to explain. I just spoke to a fine group of hoteliers in Las Vegas. LodgingHost Corporation had me come to Las Vegas to speak to their managers and administrators. 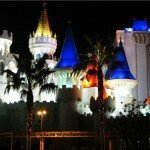 We stayed at the Excalibur Casino. It was fine. The rooms were nice. The service was fine. Everything was fine. But as I said to the folks of LodgingHost, in this economy, “fine” is a failure. As Kevin, the president of LodgingHost told us all, “Customer service is everything.” I couldn’t agree more. I’ve stayed in approximately 800 hotels. And I remember only a handful. 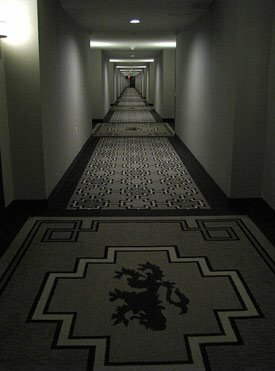 And without exception, the ones I remember are the hotels where a somebody of the hotels where somebody created a story for me. Check out the video, and pay attention to the bribe I offered the folks at LodgingHost. 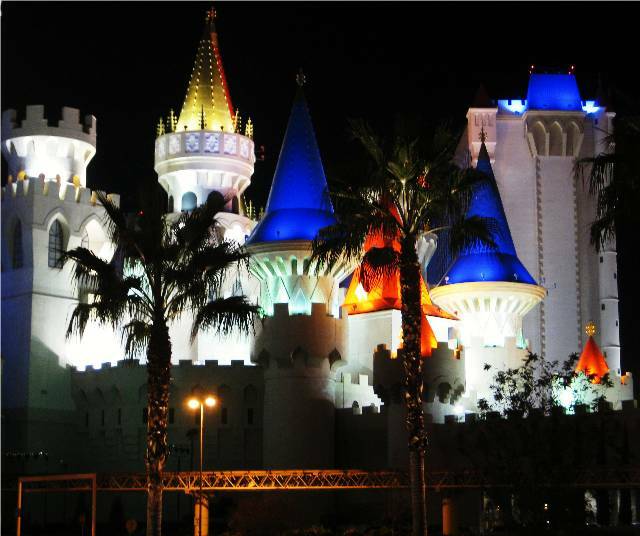 First, the concept: As I told them in Las Vegas, it would be terrific, (but probably impossible) to create a memorable story for EVERY guest. But it IS possible to create a story for some of your guests. I challenge you: come up with a technique to create stories for your guests. Maybe it’s hand delivering them a bottle of water. Or going out of your way to…. I don’t know what. But my guess is that you do. In fact, I KNOW that you have ideas how to create these superhero customer service stories. My Bribe: Be one of the first 12 people to leave a comment below about what you will (or are!) doing for your guests to create amazing customer service stories and I’ll send you a gift. Nothing huge, but I’ll make sure it’s cool. Thanks LodgingHost. It was a total pleasure. I can’t wait to hear your stories. Do you need a funny motivational speaker to speak to your organization about customer service? I’m your guy. Let’s talk about making your convention or meeting special. Go to the contact page.